When criminal liability is in the balance for both individuals and the organization, a strong, quick and complete investigation is essential. Knowing what happened, when and how is critical to both fixing flaws in the anti-corruption program and showing prosecutors that the company takes corruption seriously. In this webinar, our expert panel discusses the steps to take to provide such assurance to all stakeholders and enable the organization to find and fix any systemic weaknesses. 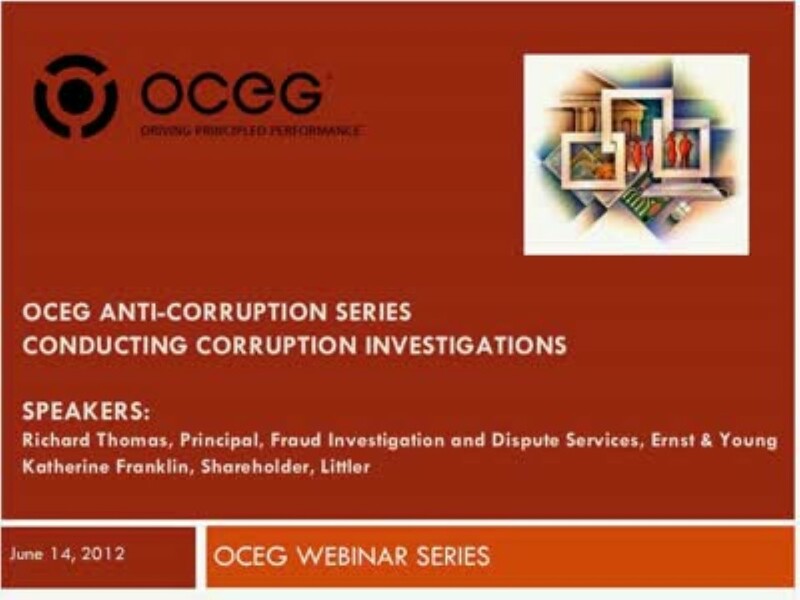 We have emailed instructions to access OCEG Anti-Corruption Series: Conducting Corruption Investigations to . Make sure the email arrives in your inbox: either add "support@oceg.org" as a safe sender to your email platform, or if you use Gmail, drag our email into your Primary tab.